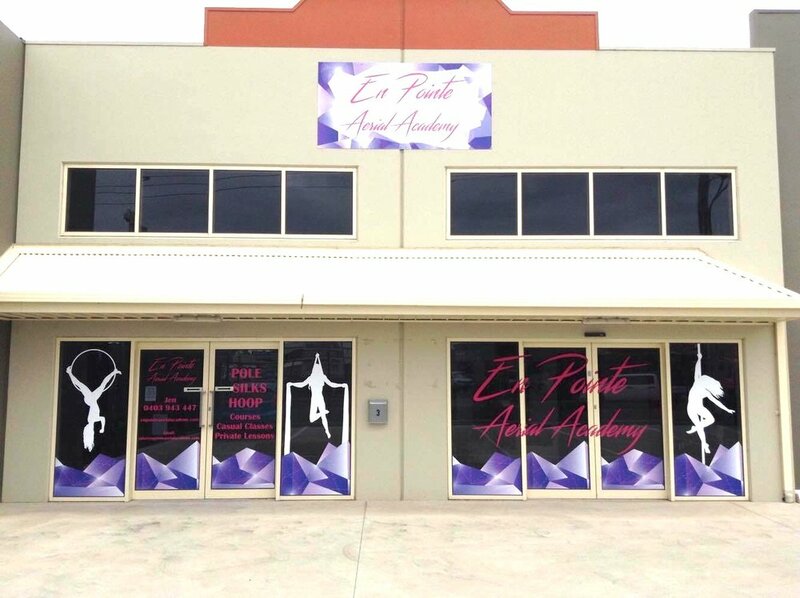 3 State of the art studios, purposefully built, with safety in mind. 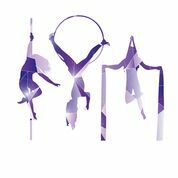 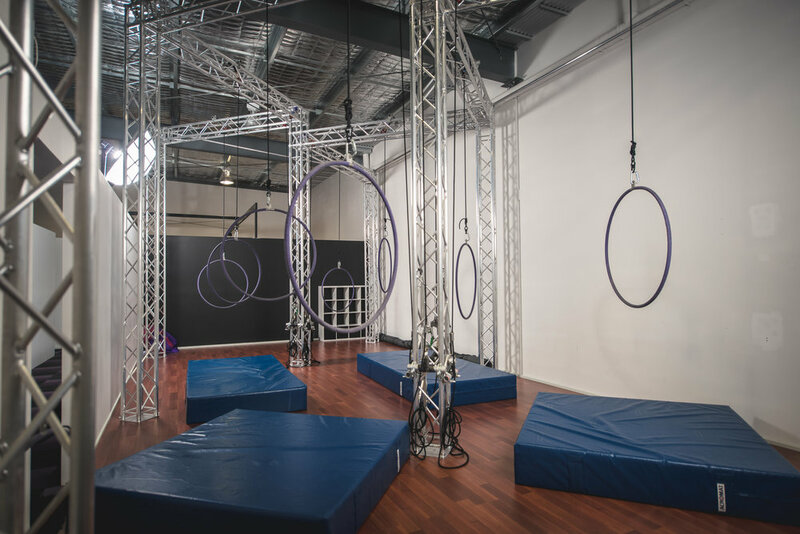 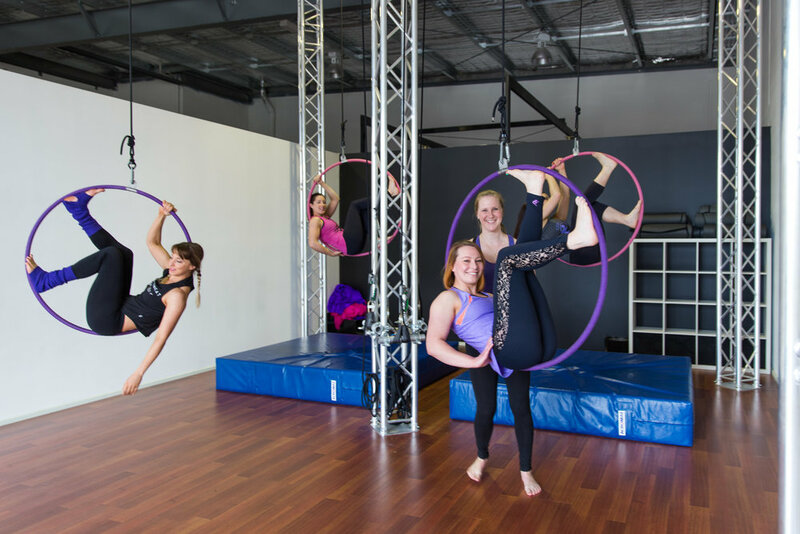 The only aerial specific studio in Victoria with 8x fully height adjustable to 4.5m, interchangeable aerial points, anchored to specifically engineered steel trussing. 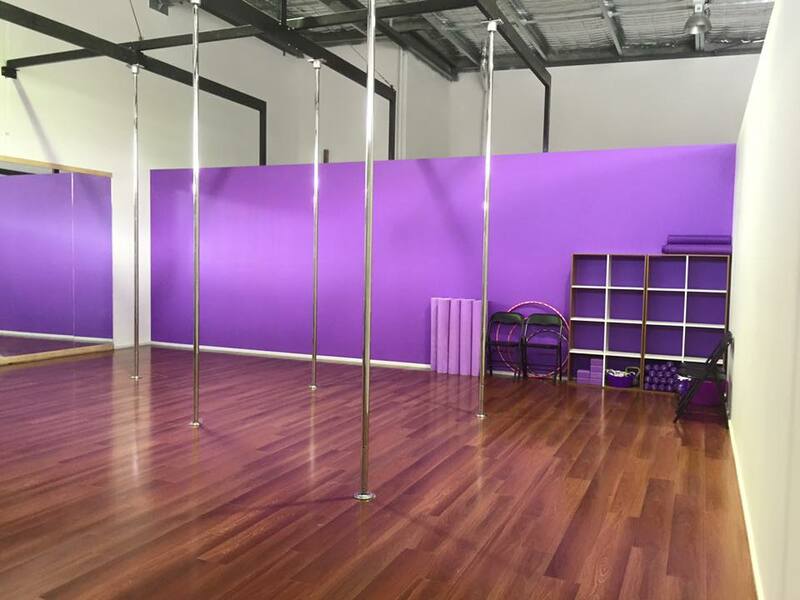 A Pole studio with 10x 45mm Stainless steel Xpert Xpoles, 3.5m high rigged into specifically engineered industrial steel beams. 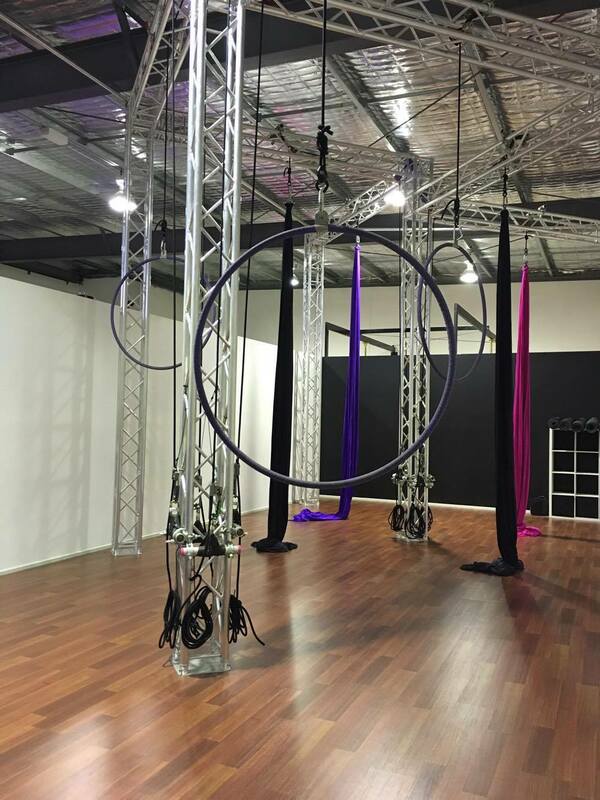 A pole competition studio and versatile dance space with 2x Brass 40mm Xpert Xpoles 3.5m high rigged into specifically engineered industrial steel beams. 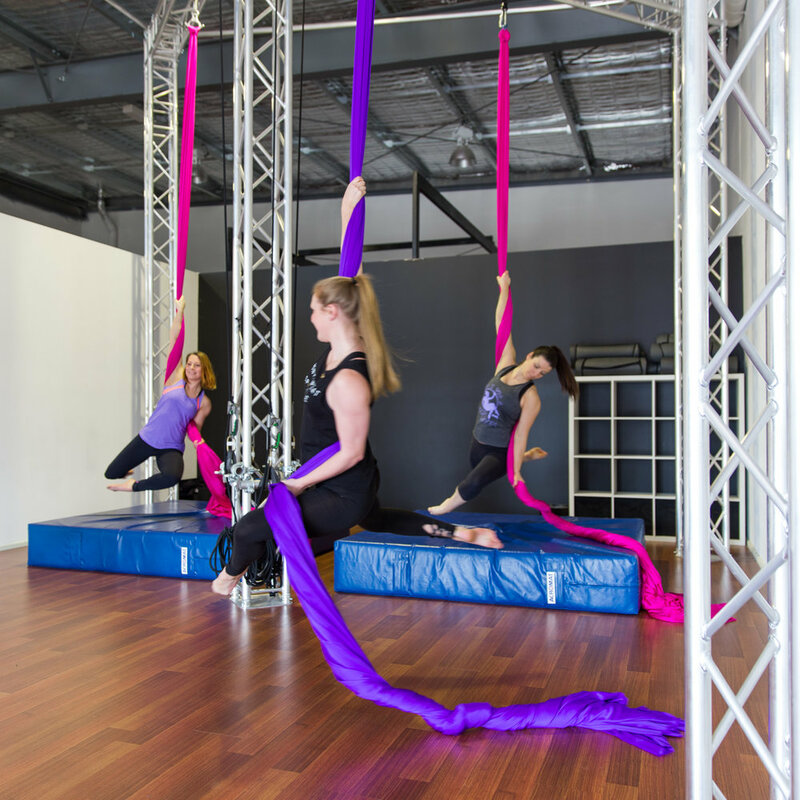 Acromat safety mats, specialty training and conditioning equipment.